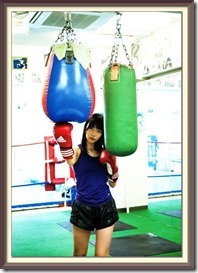 Mr.Children | モーニングBerryz48…the morning after….. "Always wear protection before reading…(^q^)." Mr.Children are Sakurai Kazutoshi, Tahara Kenichi, Nakagawa Keisuke, Suzuki Hideya. 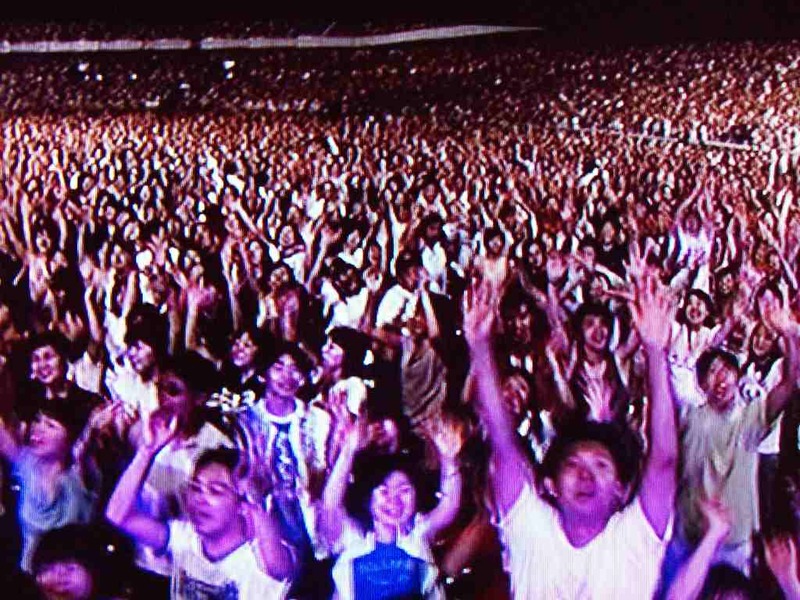 Perhaps one the most important posts that I ever write…with that thought…a deep breathe… The numbers speak volumes, but more importantly the music tells the tale of one of Japan's premier groups. But to label them in a particular genre of music, quite impossible, for theirs is a journey that has gone full circle and I have no hesitation in drawing an analogy to The Beatles. 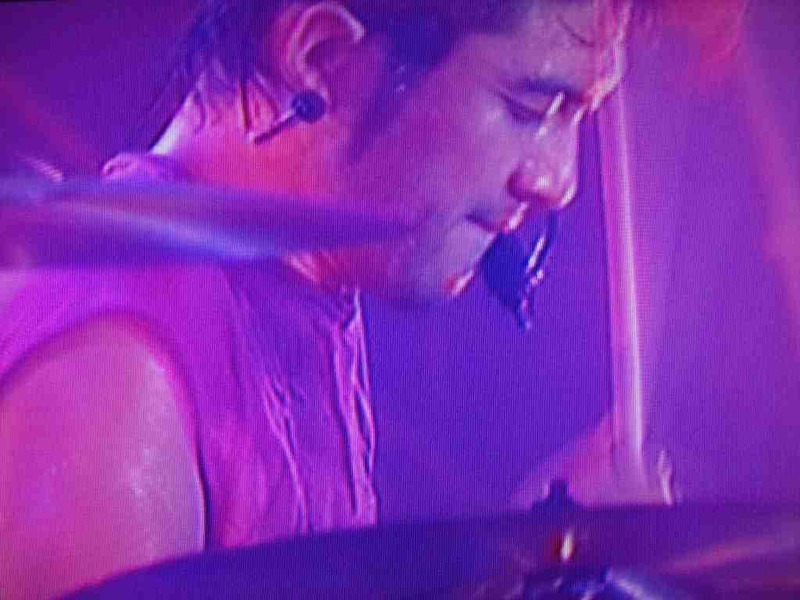 Mr.Children debuted in 1992 with "Everything", an album that would forever connect producer Kobayashi Takeshi to a career that has now produced 16 albums & 31 singles and to consider him the fifth band member is not a stretch by any means. 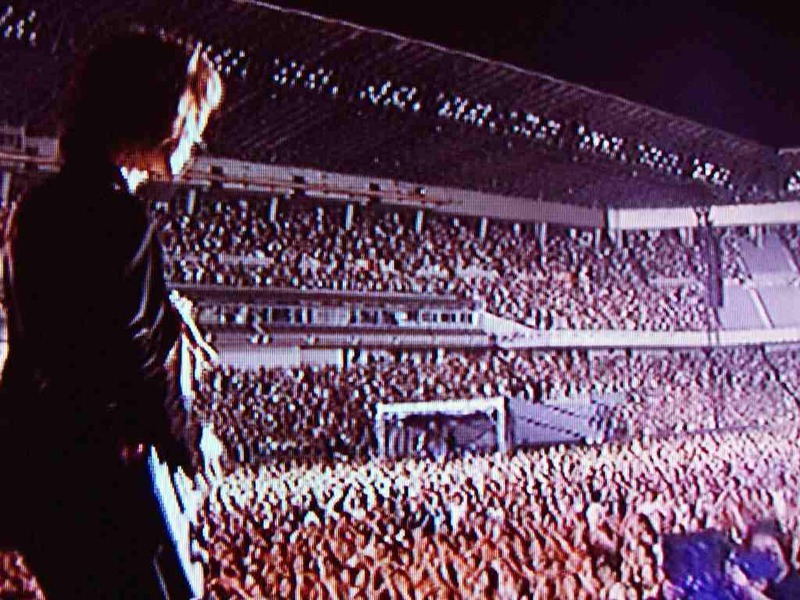 The fan base that Mr.Children has earned through incredible writing, production, and presentation is staggering as they stand 2nd all time in Japan in overall sales and hold the same position in regards to album and single sales, both of these categories seeing them with million unit sales numbering in at 10 releases respectfully. But perhaps the most impressive stat lies in their 27 consecutive #1 singles, an amazing streak that is still current! 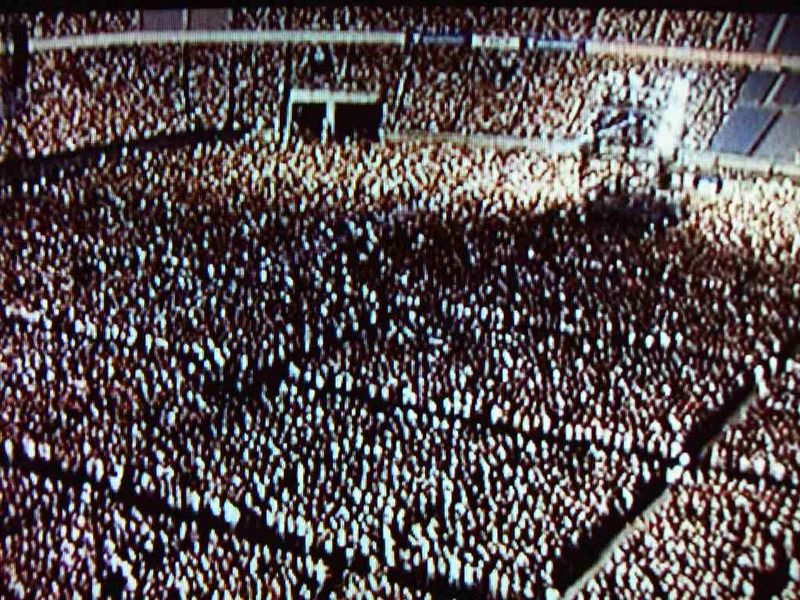 While Japan's music industry sales have indeed declined over the years along with the rest of the world's markets Mr.Children continues to produce impressive numbers with their last 6 singles selling in excess of 773,000…925,000…419,000…740,000…320,000…and 368,000 respectfully. 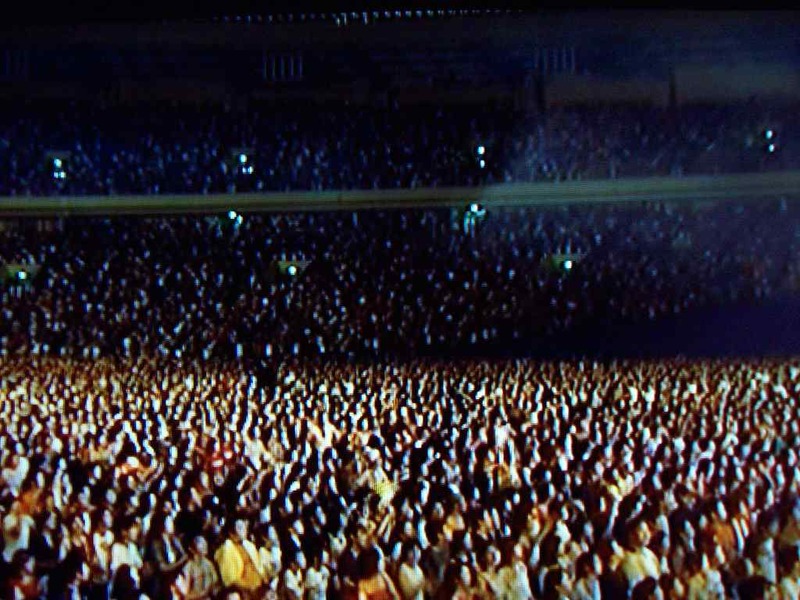 And the accolades don't end there as Mr.Children has also captured Japan's "Record Grand Prix" award twice! 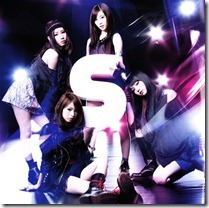 First with just their 5th single release "Innocent World" and for a second time in 2004 with "Sign." 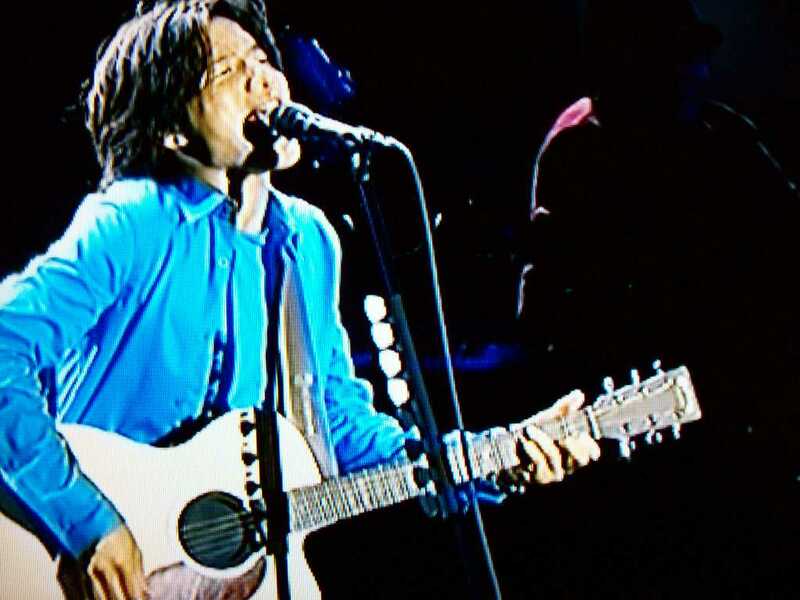 The genius and ability of Sakurai Kazutoshi was evident from their very first single "Kimi ga ita natsu" which showcases his uncanny ability of producing a perfect song structure, infectious melody, and heartfelt lyrics. 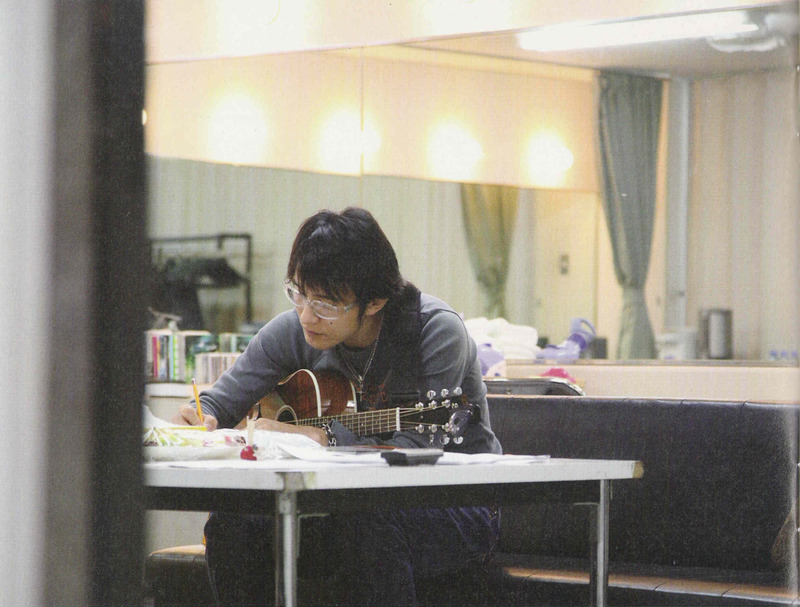 As Mr.Children's album releases progressed, so did Sakurai's writing skills and to it an added new approach and thinking was always in constant change. The world is blessed with those few individuals capable of such an art that it breathes perfection and awe where others can only hope to ascend to. Sakurai is truly in this light and is with the exception of just a few songs, Mr.Children's sole music composer & lyricist. The pairing with exceptional producer and composer Kobayashi Takeshi makes for a match of perfect harmony and perhaps their meeting was fate calling. 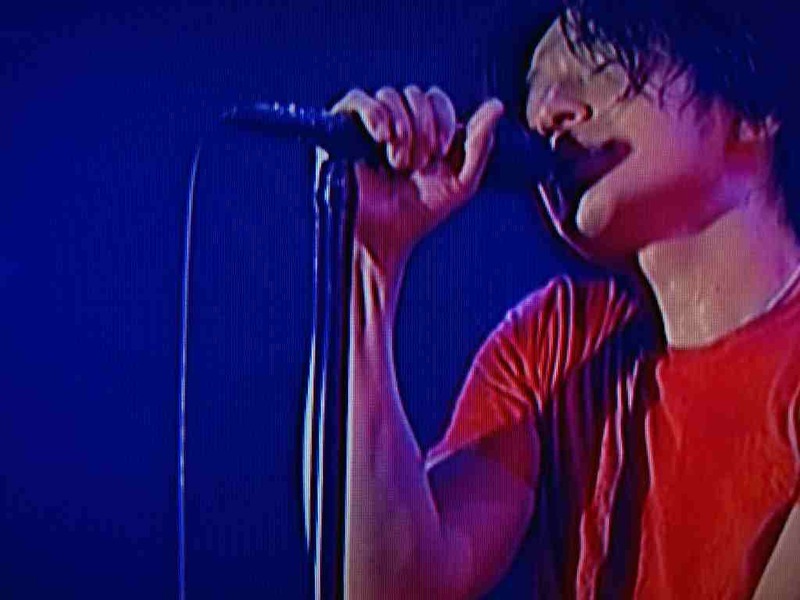 Through the years Mr.Children has undergone only a single hiatus for one year that occurred after the release of "Bolero" and it's ensuing tour. And from that a fully charged and refreshed group returned along with Sakurai's return to his perfected craft, renewed just when the "circle" had perhaps seemed complete…but yet diversity never sleeps and neither does Sakurai's talent. Exploring known facets as well as breaking new ground in music's vocabulary has been his longtime approach and with this a path through The Beatles, Pink Floyd, The Rolling Stones, among others are evident in his works but never one to just replicate, Sakurai's vision has always been to make it his own. 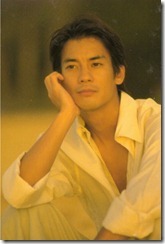 To say Mr.Children is one of my favorite bands is an understatement as they are indeed my all time favorite band! My first exposure to their music came when a fellow worker had one of their songs playing in his car while giving me a ride home one day after work. After a short while I had to ask who was playing and the rest is as they say history. 🙂 At the time "Atomic Heart" was their latest album and so began my backtracking from there and my goal to acquire all of their works…luckily everything was still in print! 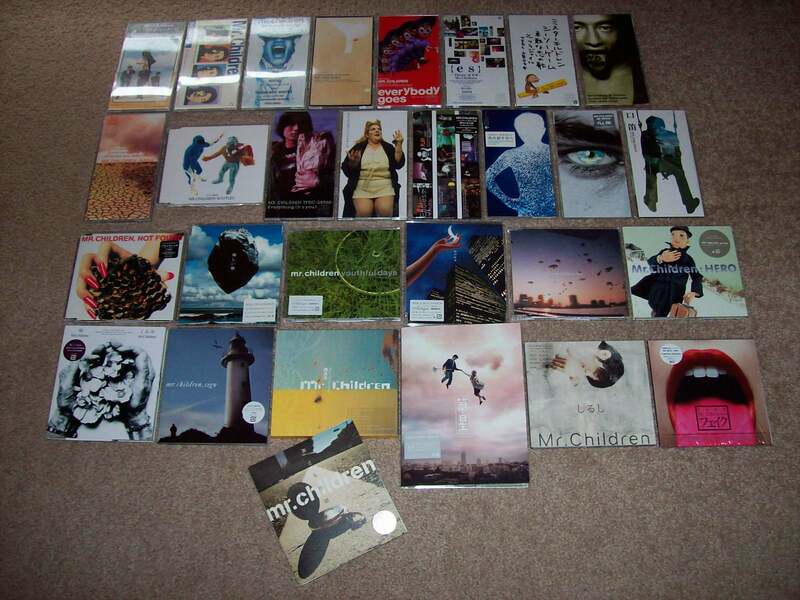 Above is my Mr.Children single collection consisting of 29 singles and just 2 exceptions to note are the absence of 2 of their singles: "Replay" and "Crossroad", both of which are included on albums along with their respective b-sides. I do however hope to one day add these 2 missing singles to my collection as then it may be called officially complete although I am currently not missing any songs due to their absence. 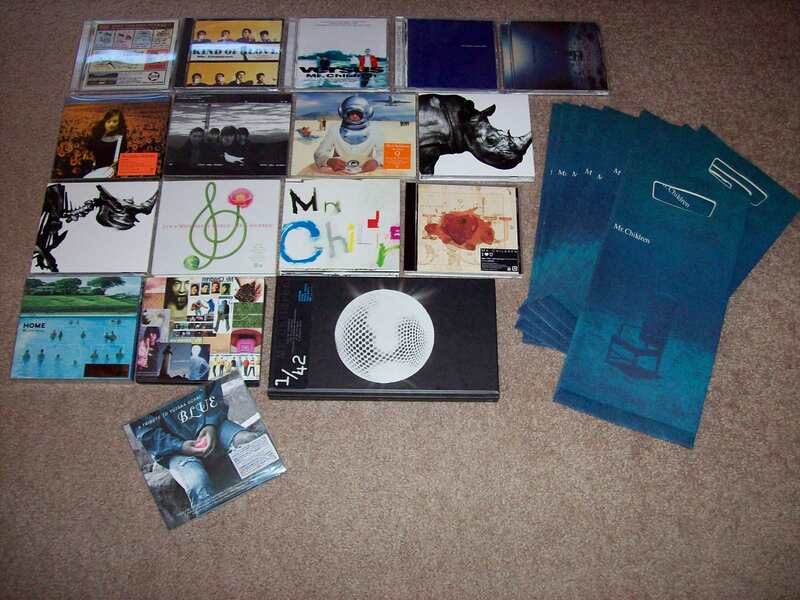 Above is my complete Mr.Children album collection which includes all 16 albums. The album pictured furthest down is actually a compilation in tribute to Ozaki Yutaka, another one of my J-Pop loves. 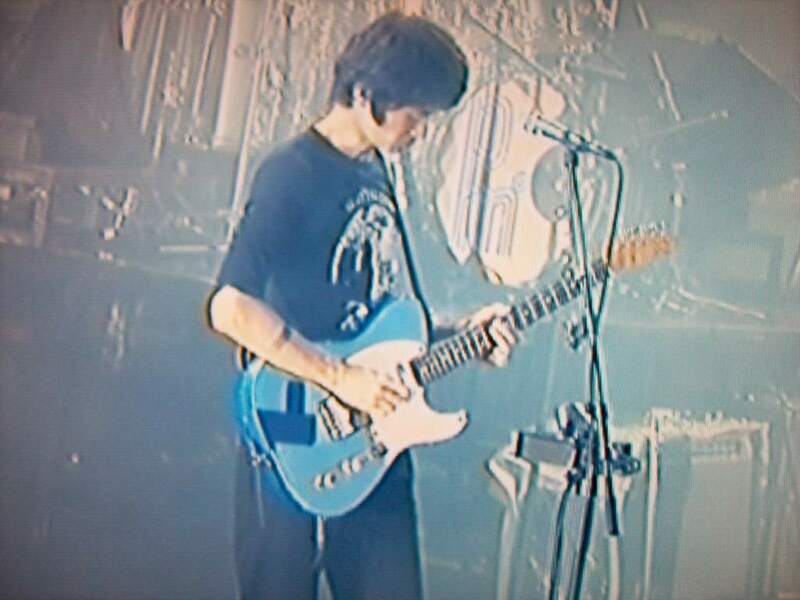 Mr.Children performs an inspired new interpretation of his classic "Bokuga bokude aru tame ni." A great thing to note about their albums is that beginning from just their 2nd album "Kind of Love", the overall style of every succeeding album introduces a new aspect and approach to the songwriting and instrumentation is also explored further. 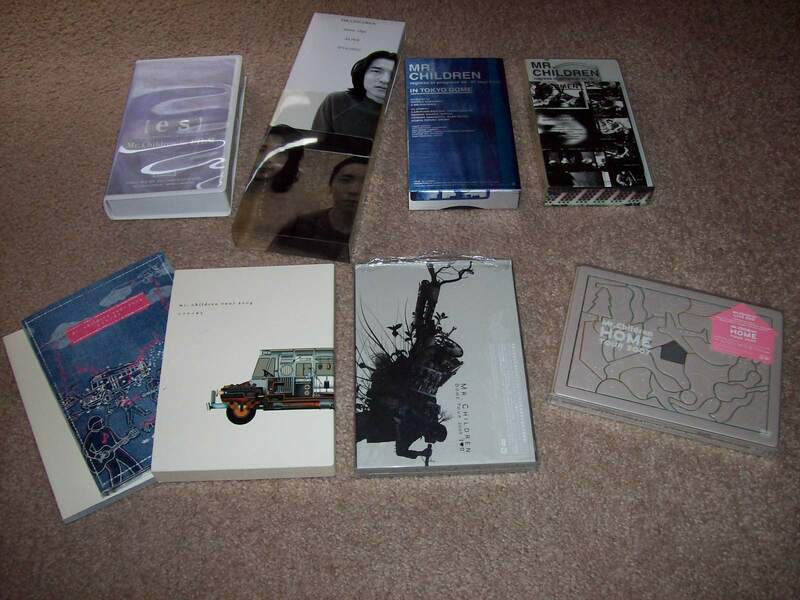 These next 2 photos include my Mr.Children VHS (some of their releases haven't made it onto DVD yet!) and DVD collection. Most are concert releases along with a pv collection (which is hopefully updated one day soon!) and 2 documentaries. "[es]" covers their "1994 Tour Innocent World" & 1995 "Tour Atomic Heart." 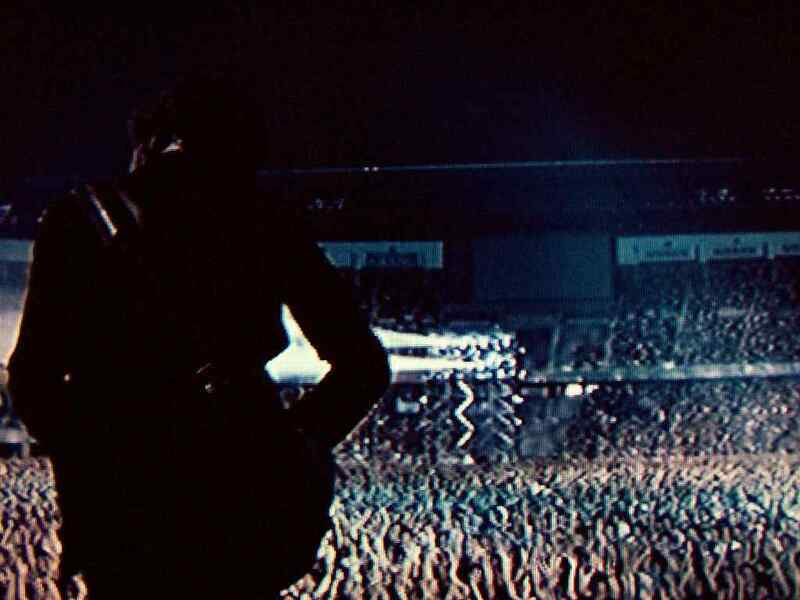 With a running time of approximately 118 minutes the film provides a wonderful and in depth look at life on the road, recording, songwriting, and of course some great live performances along the way! 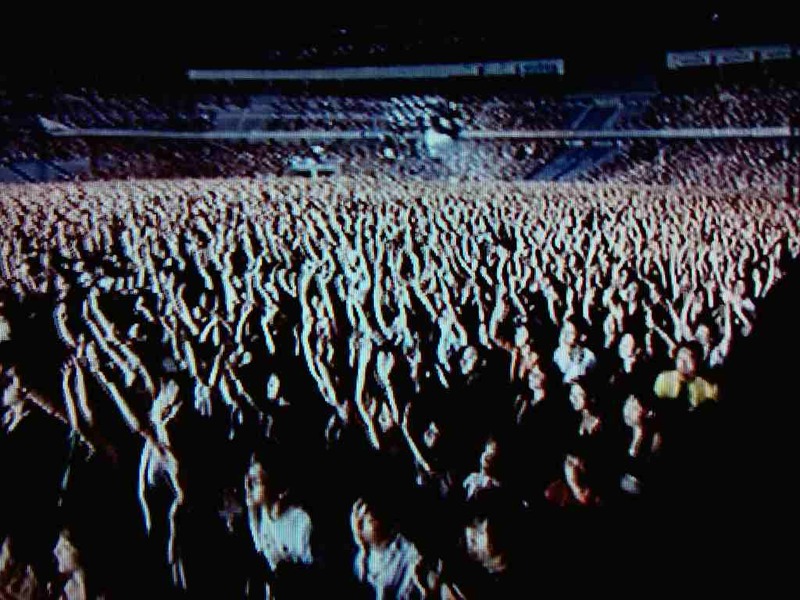 Mr.Children's 5th single "Innocent World" was just released prior and this single proved to be a landmark one for the band as their popularity and overall success began to soar to new heights. 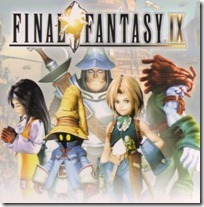 The film's theme song "[es]~Theme of es~" sold in excess of 1.5 million copies!! 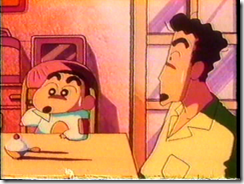 The second documentary came in '97 with the release of the film "regress or progress '96-'97 DOCUMENT." Though it has a much shorter running time of approximately 47 minutes the film's coverage is perhaps even more in depth than its predecessor "[es]." 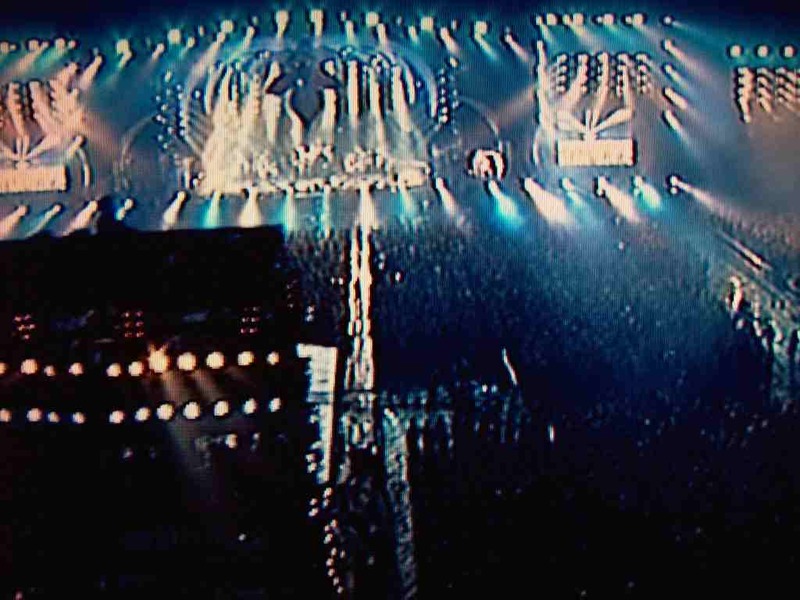 Performing at large venues is a constant when Mr.Children goes on tour…selling out the largest arenas in Japan and covering everything else in between. 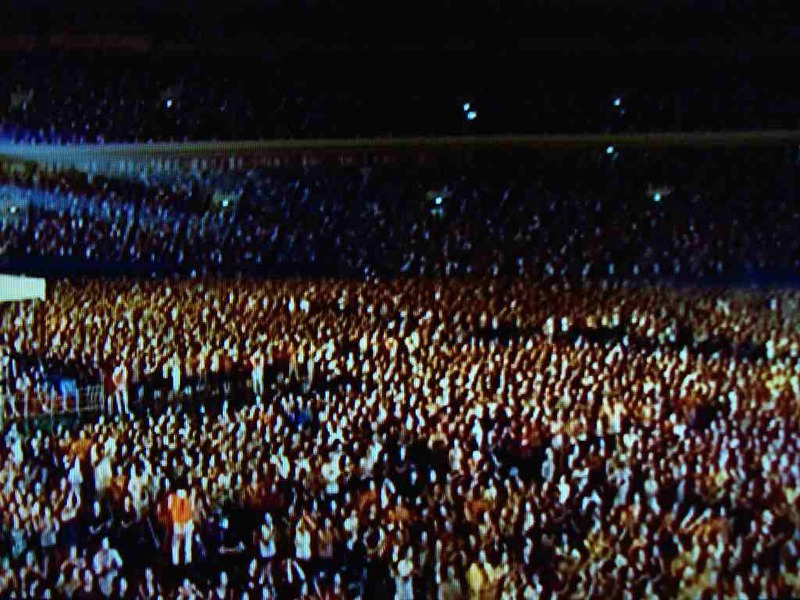 Their "Discovery" tour in '99 saw the release of a deluxe CD package (pictured 3 photos above) which was named "1/42" in its representation of a single show out of the 42 they had performed on this grueling tour. 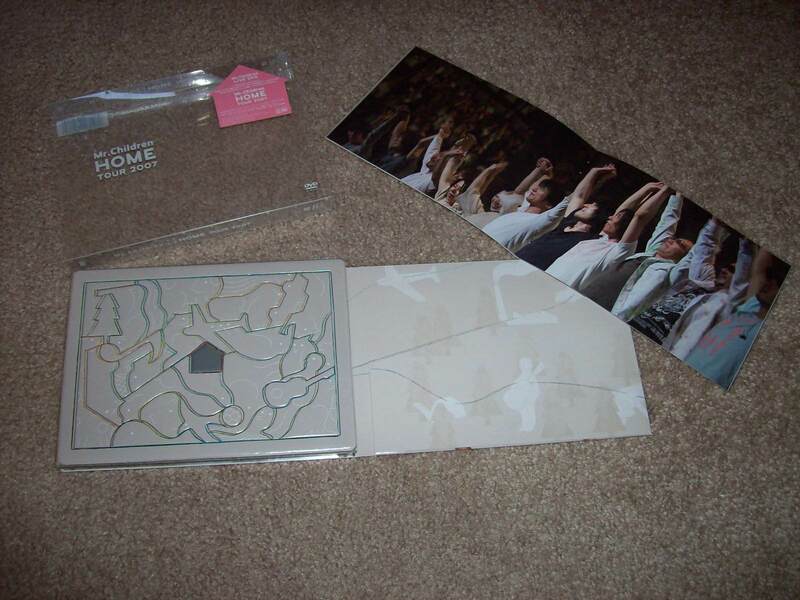 The set includes 2 CDs, an extensive booklet with lots of concert photos, and all of the lyrics from the shows' play list. 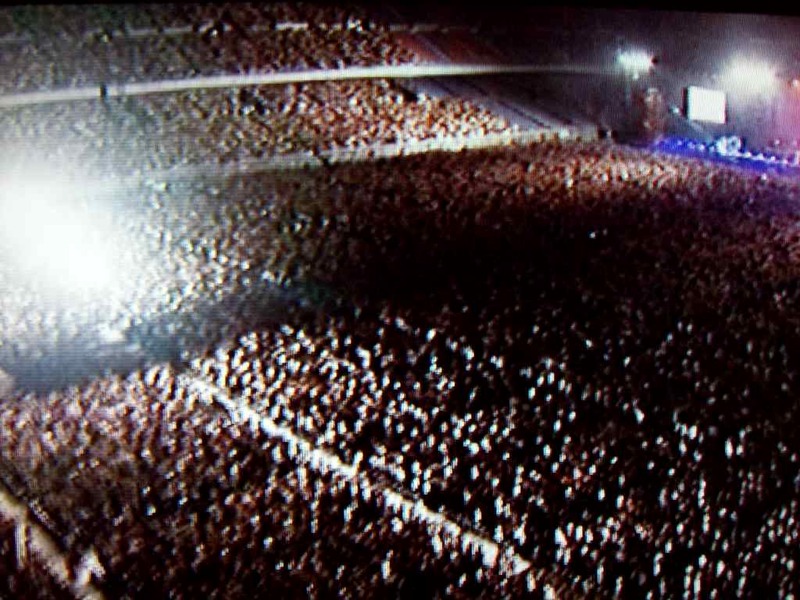 With the following pics I was trying to capture (albeit blurry :P) the incredible magnitude of some of these events. 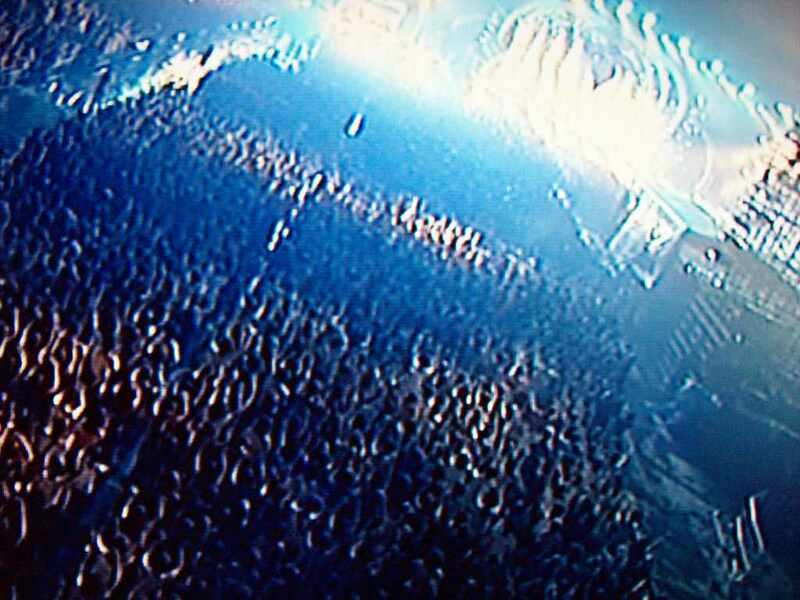 Their 2001 "POPSAURUS" tour saw the creation of a large Dinosaur skeletal structure surrounding the stage above as well as a massive tower mid arena (pictured below)! 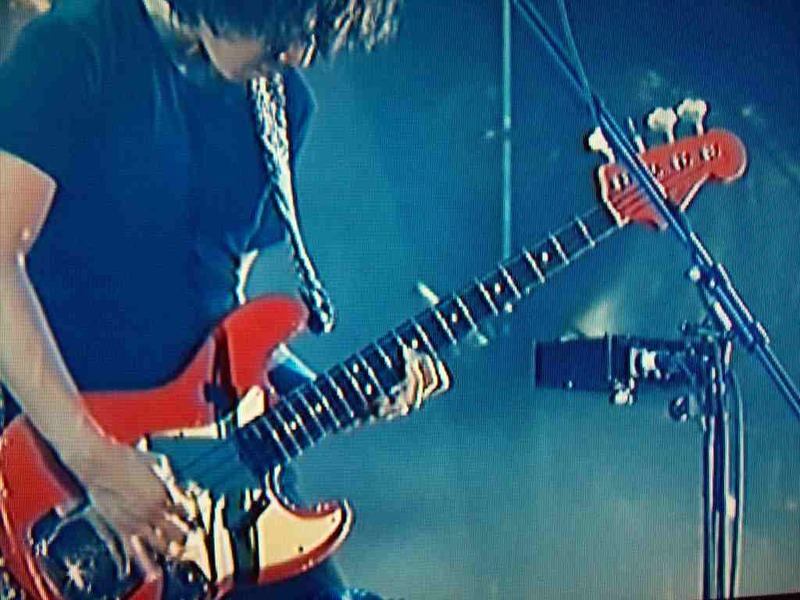 The tour's theme followed the release of their double greatest hits collections which covers their careers up to that point and with that the tour's play list was a sensational one including just about every Mr.Children song that a fan's heart could desire! 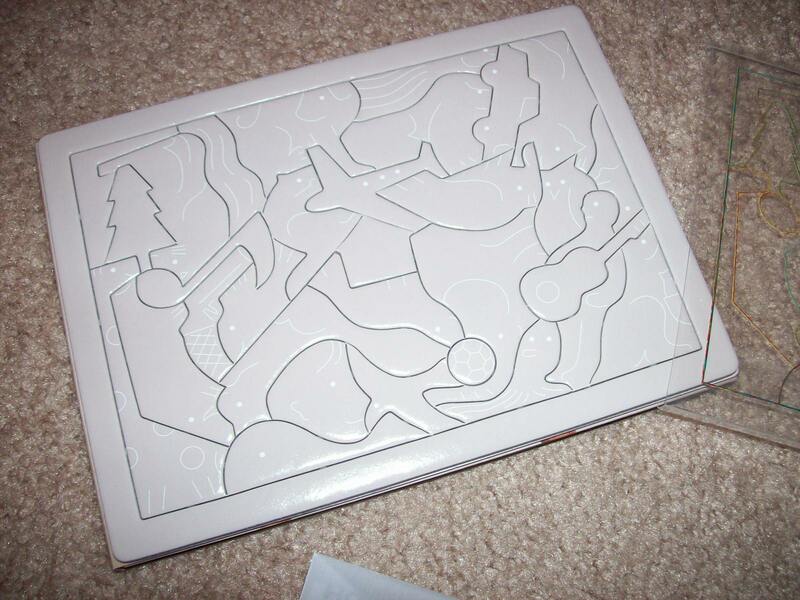 …a thick high quality puzzle which serves as the cover, also separately slip cased with a clear plastic bearing an additional outline design. 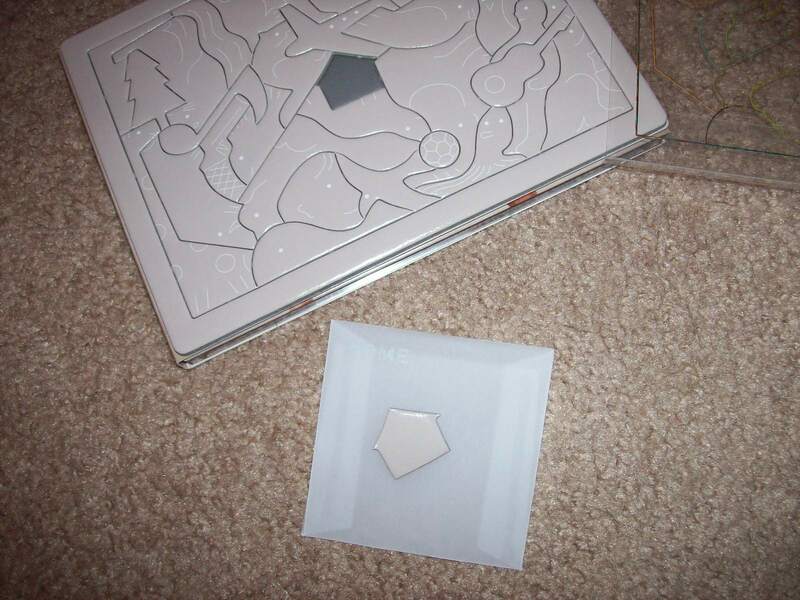 At first the puzzle appeared to be missing the middle piece in a permanent sense, that piece being the symbolic shape of a "Home" but upon opening the release I found a little pouch labeled "Home" and within it the missing "Home" shaped piece is included. 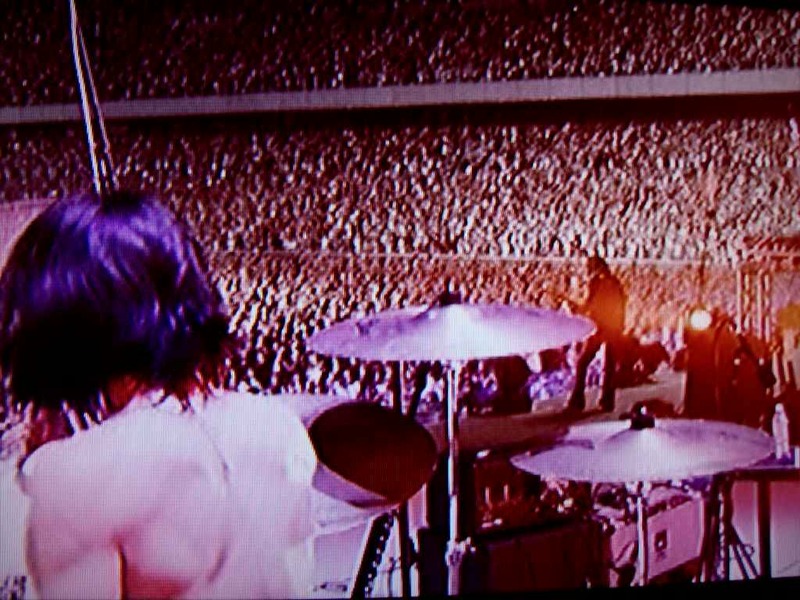 Mr.Children "Home Tour 2007" DVD "
Next are a couple of clips including a live performance of Mr.Children's beloved and timeless classic "Innocent World" along with a pv clip of their incredible song "Namonaki uta" which also served as a drama theme song for the moving series "Pure." For me it stands as one of the most perfectly matched closing drama theme songs of all time with the visuals and overall feel complimenting each other so perfectly and in complete harmony. "Namonaki uta" sold more than 2.3 million copies and is the fastest selling single of all time in Japan reaching the 1.2 million mark in just a single week!! 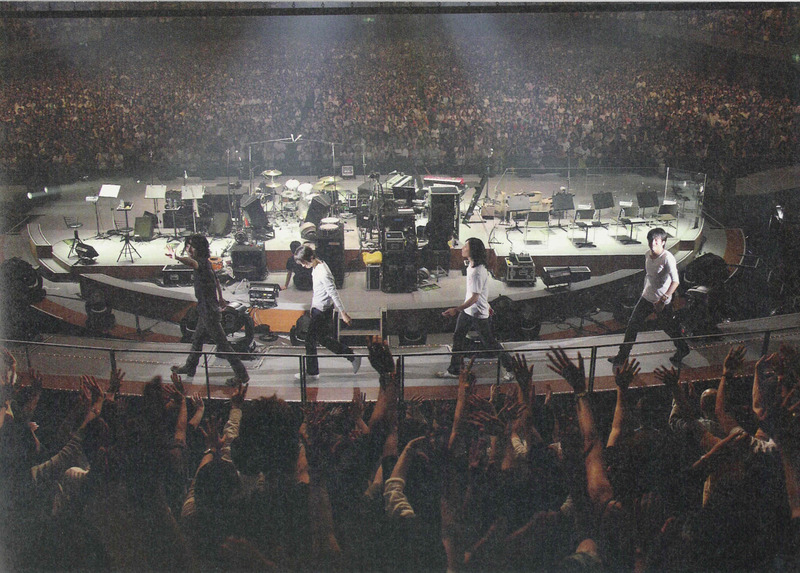 Many fan sites offer excellent song translations of Mr.Children songs so be sure to check for them! Just to name a few (because I could ramble on forever otherwise!) songs such as "Kurumi", "Shirushi", "Sign", and "and i love you" offer a great look into the brilliance and heartfelt poetic words of Sakurai. This entry was posted in J~Pop and tagged mr.children, my favorite band, nakagawa keisuke, sakurai kazutoshi, suzuki hideya, tahara kenichi. Bookmark the permalink. I've known of Mr.Children for a while now (know some people who are big fans), but never really gave a listen to their stuff. The YouTube links sound good; I'll have to look into them further. Man, that back catalog must be hell for new fans/collectors to track down! @Strawberry: awww go on, still wear it…even if you get weird stares. 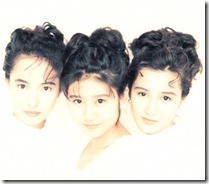 @MorningBerryz: I forgot to leave a comment here when I read through this post earlier. Oooops. Anyway, really enjoyed the write-up, and I think you did Mr.Children justice. To be honest I haven't listened to Mr. Children before, but I'm going to give them a go for sure. Another one of those bands/groups that I've always known about, but never given a try. 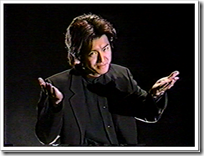 I remember going through the Mr Children DVD you sent me, but it was quite awhile ago, I'll make sure to give it another going over when I get back home. I was in Nakano Broadway shopping centre yesterday, they have a lot of second hand collectors shops in there and along with all the H!P stuff there was quite a few Mr Children CDs, as soon as I saw them, I thought you'd love to be looking through all these amazing CDs. strawberrie I hope that you will give them a listen when you have time. Hmmm…it would be strange to be seen wearing a scarf in 70 degree weather but you'll be prepared for next Winter! Thank you wu-san! I really hope that they move you as well! I've been wanting to write about them for quite awhile but because they're my favorite band I as a bit hesitant…afraid to mess this up! 😛 Just a few more quick song suggestions would be: "Over" (really will make you think of The Beatles! 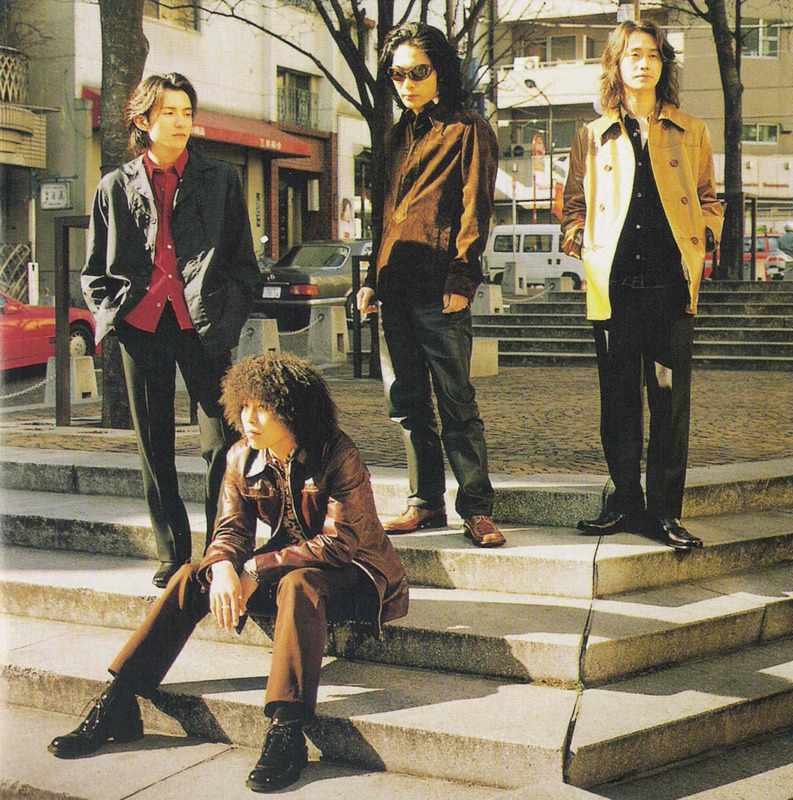 ), "Nishie higashie", "Love", "Kimi ga ita natsu", "World's End", "Not Found", "CROSS ROAD", "Tomorrow Never Knows", "Any", and "Ame nochi hare." Careful now MorningBerryz, you'll be reciting the whole discography next heheh. but no, I'll be sure to take onboard your suggestions. 27 straight number ones though? that's mad! I guess that's the proof right? Wow you're up late!!! Isn't it past 3 in the morning there?!! :O Or am I way off in figuring out the time difference? Hmmmm…the wacky thing is that I'd probably eventually suggest their entire discography unless you stop me! Thank you for listening! I hope you enjoy their music as close to my obsession as possible!! 😛 I wonder if some artists purposely don't release their new singles on the same day as Mr.Children as they'd have to beat them in sales to be #1 for the week. I know, still up…but I'll head for my bed in a minute I think. Yep you're right about the time difference. It was 3am back then. One thing I forgot to ask you in a message,,,how do you keep up with all the comments you reply too? it's quite something you know. The idea of other artists planning their single releases around Mr.Children is a funny thought XD, but I wouldn't be suprised if it was true in some cases. But then perhaps it's a goal from other atists to be the one to stop the #1 trend. I hope that you start work at a later hour tomorrow! 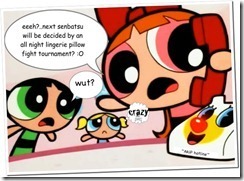 !…no wait…today!! I think there's a setting in VOX that allows you to have individual notifications sent to your e-mail each time a comment is posted or when fellow Voxers reply to your comments on their sites. Aw I do hope that their streak never ends as unrealistic as that sounds! ah sometimes I'll get distracted by something, usually j-pop, and the time can just run away without me. 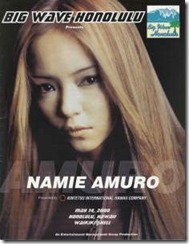 You know, I read your Amuro Namie, but I didn't want to comment because I know very little about her. Again, always impressed with the effort. From what I can remember of listening to some of her songs a while back, her music wasn't my thing. I'll have to download some of those Mr.Children albums to get more of a perspective, but I'm pretty much comfortable with them already, so I'm sure I'll like them in general. heheh, It's exciting talking about favourite artists, as it shows here :P.
I'm thinking that you may have heard some of her later music as her really early songs are pure J-Pop love!! Please try listening to "Rainbow Moon" which is in that post and if you don't like this song then I'm totally wrong here. 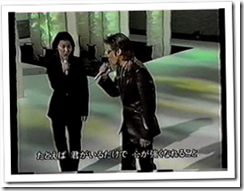 And seeing how young she was back then when she sang this…her voice is so incredible and strong!! Haha okay I'm sorry that I'm trying to force you to listen to Amuro! 😛 Ah there's so many more artists that I'd like to discuss and share. Anyway, I'll be wondering which artists you will talk about in the future. ah, you should do a post on those artists when you get the time, as I've never heard of them., and would be interested for find out, just like with Zard. Dont worry about needing to post up as fast as you sometimes can. 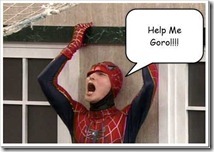 We all understand that life can be hectic. heheh, speaking of busy, as you know, I still have not got round to listening to Mr. Children and Amuro Namie…But I swear I will soon! maybe tonight if there is time – watching some movies with a friend – or 2moro, as there is no scedule. haha, I have J-pop time scedules lol. how silly. I think you should slow down whenever you feel like, your posting frequency is already a miracle to me… And I'm still working on getting to know ZARD. 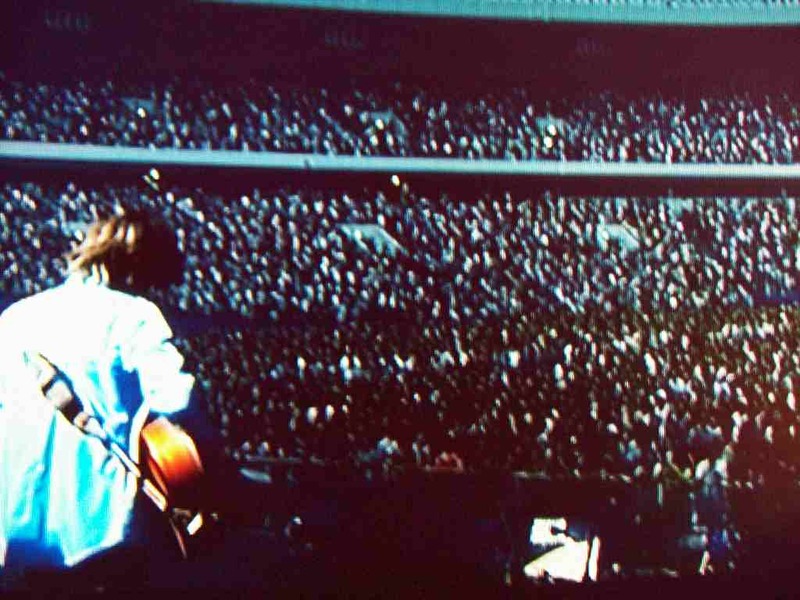 I have Mr. Children's HOME tour to watch in the near future too.Great, there's one I know in there! Every Little Thing! I could go a whole day with only "Fundamental Love" ❤ Actually, I've already done that. Other favorites would be "fragile", "Deatta koro no you ni", "Graceful World" and "Forever yours". I used to try posting at least once every day and sometimes more than once, but I've really slowed down since. Hmm…just not enough hours in a day it seems. 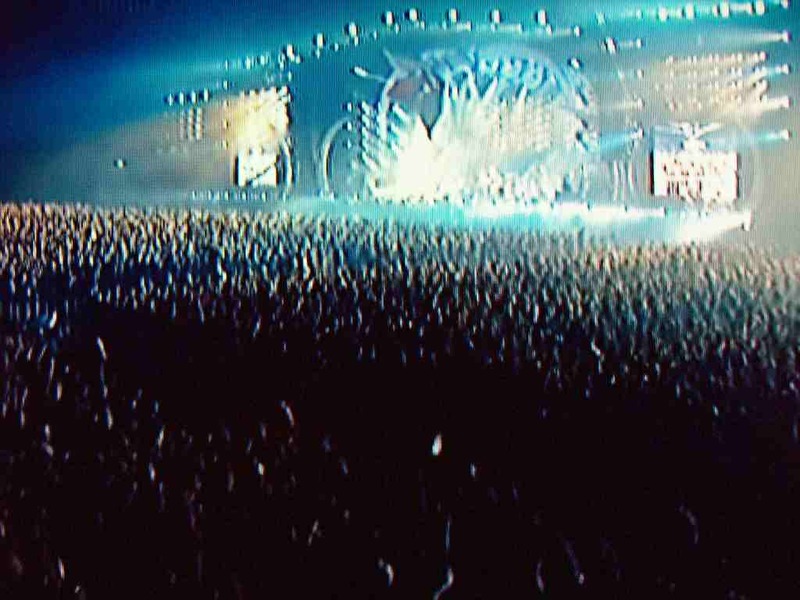 Wow that's so great that you have Mr.Children's "Home" concert!! They're so amazing live and I hope you enjoy it!! 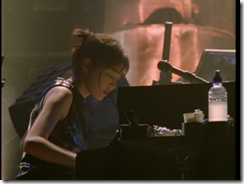 I wish Zard toured more but there is one great concert video release that we have to watch! 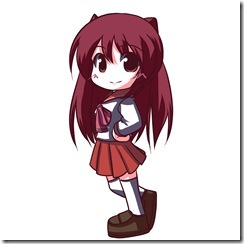 This is a great coincidence…I just mentioned Every Little Thing's "Deatta koro no youni" in a post. 🙂 I love early ELT and one of my favorites would be "Here and Everywhere." I haven't followed them recently though but would still like to have a little post about them in the near future. 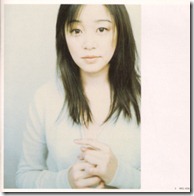 Mochida Kaori even released a single before she was ELT titled "Mou ichido" and I purchased her single back when they appeared on the music scene. It was kind of an indie release I think as I'm not familiar with the record label that it's on. I thought ELT was so much better before the keyboardist left and I was so surprised when he did. Haha okay today I'm planning on getting more sleep if perhaps I don't write anything new. Last night I didn't even finish replying and had to go to sleep. :O You actually have a schedule?! That sounds like a lot of pressure! 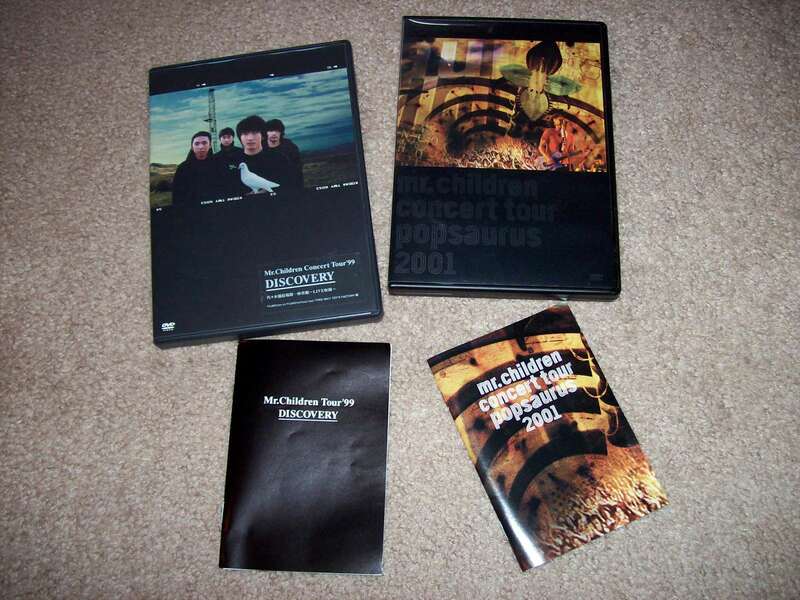 If you can get Mr.Children's "Popsauras" concert DVDs that's a great one to watch as it's pretty much like a greatest hits tour. 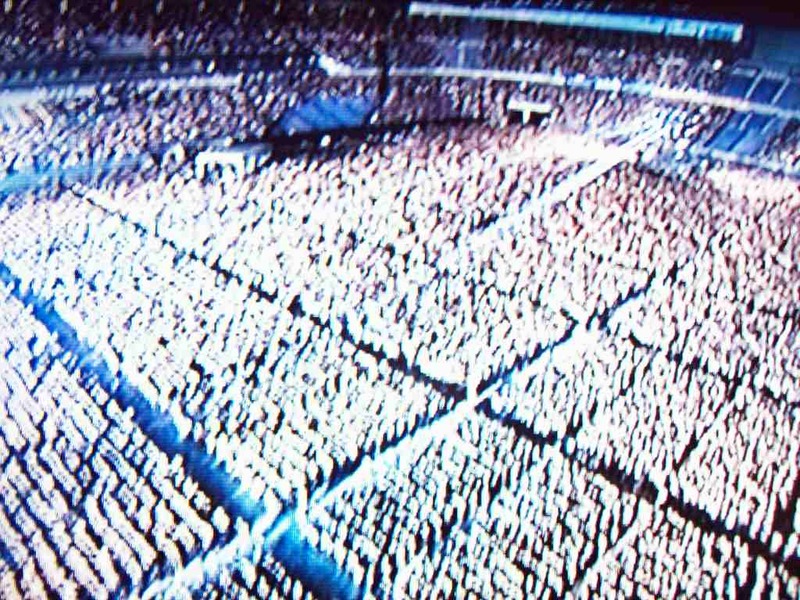 The performances are all breathtaking and the atmosphere is pure electricity!! There's quite few films that I have to choose from for this weekend's viewing…hmmm not sure which one it'll be yet. 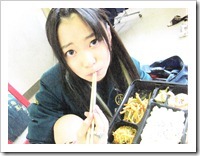 Ah, yep I have a j-pop scedule, basically for intlwota really, and just time out so I can check up on blogs and read. as for my own posts, I try to have a foundation for my writing, but it doesnt work for me personally. so it's random. 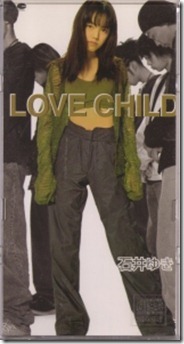 I'm downloading some Mr. Children albums but cant really come by DVDs as easily. But I'll try. yes, a constant lack of sleep cant be too good for the body and soul right? Ray is very easy going about my duties actually. He outlines the minimum to 2 a week. But since I enjoy the job, I average 4 a day. I usually stick to my own links, the ones I enjoy reading the most. The more new sites Ray discovers, I'll add the ones that I want to keep an eye on, and maybe start becoming a regular their. I read more than I link, as Ray takes up so much of the work, and I take the time out to read a lot of the blogs he mentions. As I've always said, I'm a reader before a blogger. It's just a shame I dont comment so much, as I do want to…but sometimes reviewing on intlwota – as I said before – robs me of the comment I would otherwise leave on their posts. So many good blogs out there now, it's really encouraging. Sometimes I can spend a good 2 hours just reading people's work. sorry, that was a long explanation lol. for the blog rounds I usually do…the last week or so has been relatively quiet. Ray still manages to put out lots of reviews on his side of things, which again, I think is great. Some people email Ray about their sight, or we'll discover them in some shape or form. hmmm…still in search of those concerts. But it's totally okay as it must be difficult to think of something more to write as you've already shared your thoughts. With more sites appearing all the time how will everyone manage! How Ray finds so much time to dedicate to his sites is really amazing! cumulative result: a higher percentage of the best kind of z's. streamlining your sleep regime: 1) Invest in an office couch. You'll need to zonk at least twice during an eight-hour workday. 2) Use an alarm (or three). Oversleeping will turn you into a zombie. 3) Stick it out. you'll begin to feel better. — Mathew HonanYou know, RSS (Really Simple Syndication) is a great way to keep track of posts all over the 'net without having to go to each site. The My Yahoo! site I made for you is also a RSS reader. You get brief "headlines" of each post from a , and you just click to go to the full post. So many sites like VOX, Blogger, NASCAR support RSS these days! With My Yahoo! you can really have an MB Central – everything including email from one place. 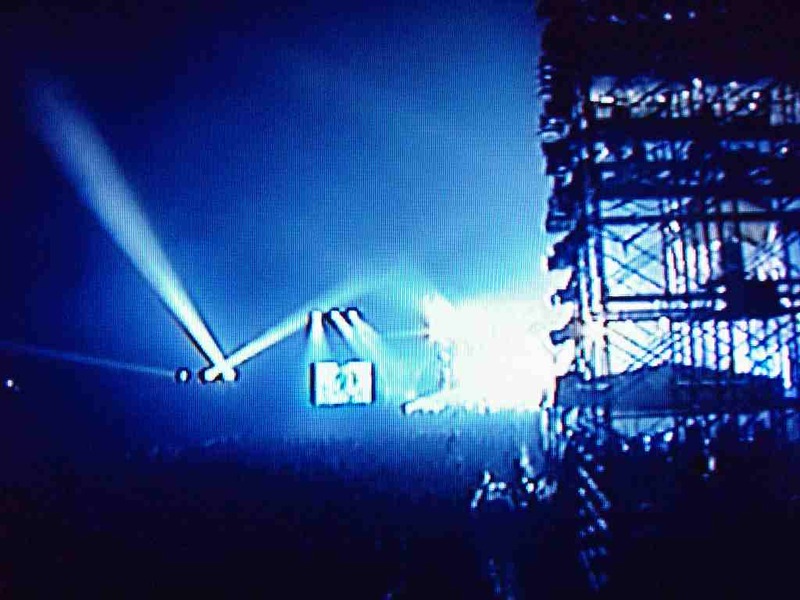 It's so great of you to post those clips and include Mr.Children's theme song "Sign"! 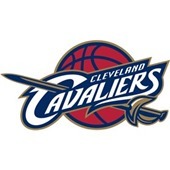 I hope you enjoy the drama too! Haha I've been known to sleep up to 12 hours on some days…and yet I then wonder why the weekend went by so quickly! 😛 I'm thinking about finally using my ipod nano as it's still in its original box and pretty much untouched right now. And now that my computer can handle the file system I really should make use of it. Well my Blackberry sadly is still music and video free…someone at work told me that the software that came with it doesn't need to be used in order to load files onto it but I'm not really sure how that's going to work. I'll probably just load videos onto it as I can't really see myself using it for music files. Nothing like a long, luxurious sleep! ^^ To sleep, perhaps to dream… I have a very active dream life (as you might imagine)! ^^I had a dream recently where I was some mixture of The Last Samurai's Tom Cruise, Shogun character and Musashi all rolled into one! @@ And you, of course, where the lovely Mistress of the Tea House, in beautiful kimono, and exquisite tea implements… (no doubt from Memoirs of a Geisha and the The Teahouse Fire). Who wouldn't want to prolong such a vision?? :)Did you know that in San Diego there is in Balboa Park Friendship Houses of many Countries, including Japan? They often have special events there, including tea ceremonies.And speaking of Musashi, I got my first two Samurai Trilogy DVDs, Musashi Miyamoto and Duel at Ichijoji Temple in today from Netflix! (Plus Lust,Caution! ;)) So, I have a lot on my plate for my days off.You're right, now that you have an appropriate PC to support your iPod, I think you will love the Nano. iPods are more than just players, it's a whole "ecosystem" – iPod, iTunes and the iTunes Store. They all work pretty much seamlessly together, plus you can easily rip the music CDs you choose from your collection. And there is a huge third party lineup of accessories, like cute cases (including a "Kimono" model!) and ways to connect to your car stereo like tape adapters or FM wireless transmittal. <pictures MB singing her heart out in car to her dearest Pod tunes> :)It might be easier just to copy mp3s and videos to your microSD card. I have program that 's totally free to convert from Youtube to Blackberry/iPod Video. HERE I've got some nice videos that way. I’m still using your site for academic research.